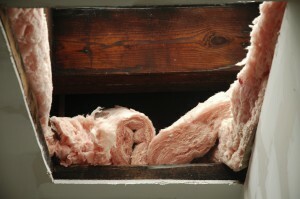 Attic insulation can be more critical to energy efficiency, comfort, and even health than many people often realize. If the attic of your home in Greenville, South Carolina, is poorly insulated, you might find that your home doesn’t remain at a consistent temperature very well, or that your HVAC system seems to run all the time. If you notice these or other signs, it’s time to get your attic reinsulated by a professional insulation crew. If your house is an older building, the quality of your insulation is probably well beneath that of more modern products, and the material may even be hazardous. If your attic insulation has water damage or mold anywhere, it is a serious health risk and should be replaced; this is also usually a sign that your roof has a leak in need of repair. If the insulation in your home isn’t performing correctly and your HVAC system keeps running to try to keep up with the constant fluctuations in temperature, the cost of your energy bill may be much higher than it should. If you need new attic insulation in your home, don’t wait – contact a professional to make sure your replacement insulation will be installed properly. 31-W Insulation has a team of expert contractors who are highly experienced in the proper installation of top-quality insulation. We only use our own trusted employees, not subcontractors, so you can count on our installation crew to take care of your home in Greenville, South Carolina with the excellent customer service that has helped us maintain an A+ rating with the Better Business Bureau. For more information on having the attic insulation replaced in your Greenville, SC, home, contact 31-W Insulation today.